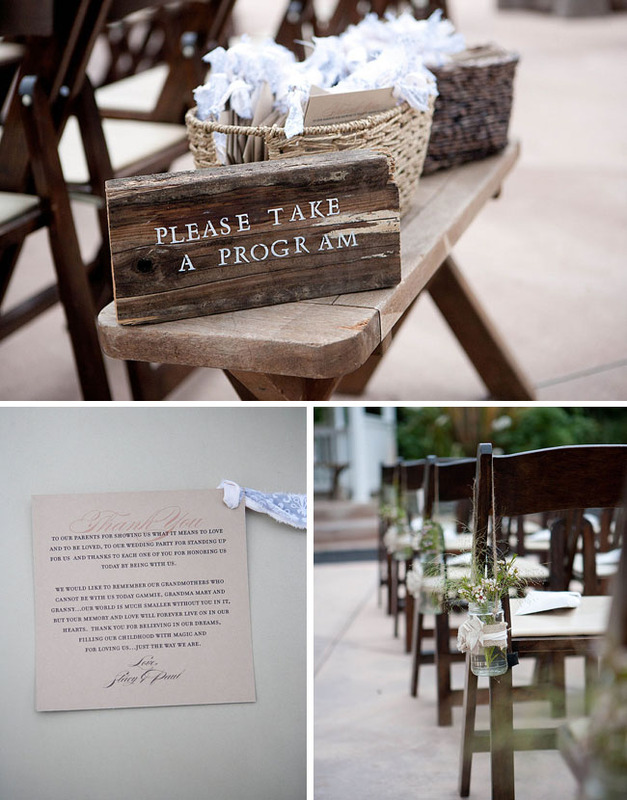 The idea of a wedding inspired by Anthropologie is somewhat new and unique to brides these days. 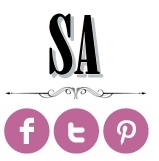 It combines the theme of vintage in modern edgy ways. 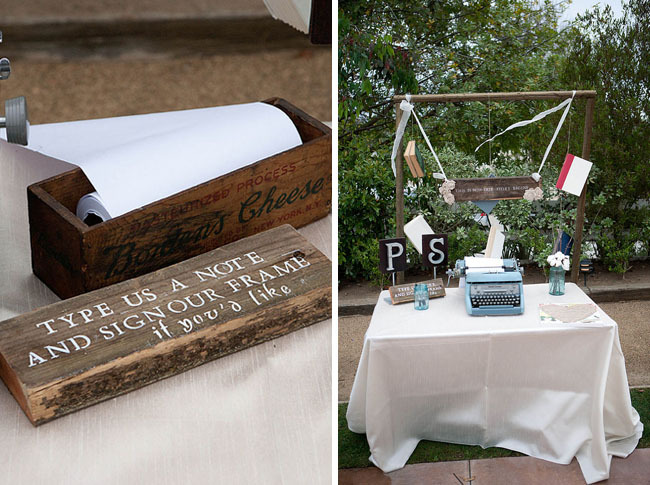 The brilliant part was incorporating these vintage items and modernize them, creating a look which is simple yet sophisticated. 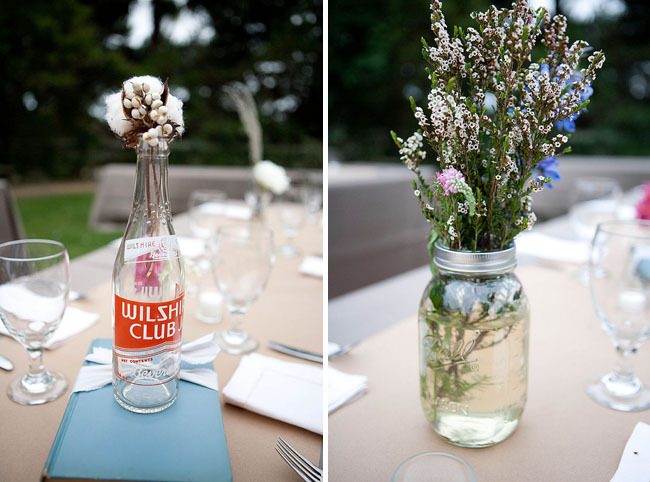 Old items can be such a unique centerpieces; provided with right arrangement & perfect blooms altogether. 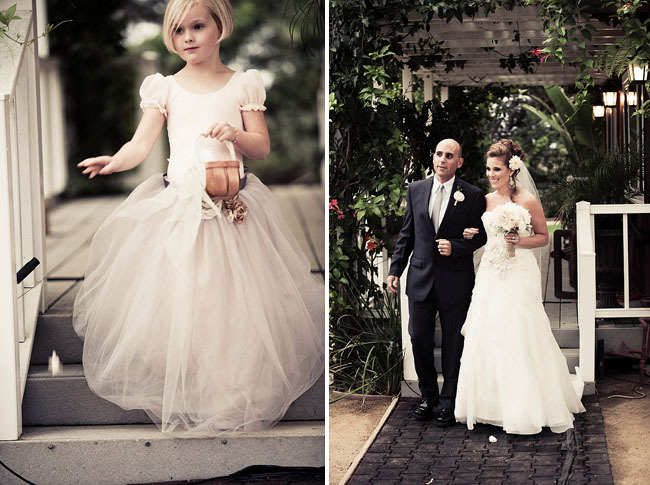 After all every bride yearns for an unforgettable wedding; whether by their attire to flowers or to favors. 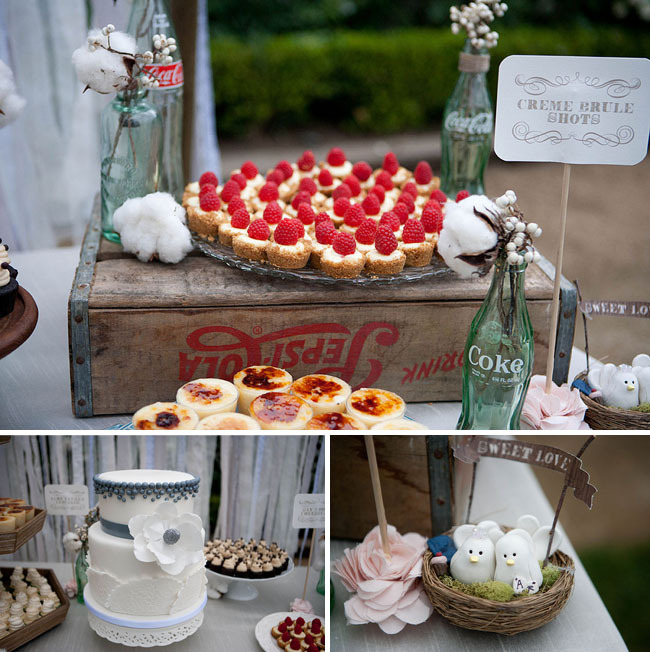 Therefore, to create one beautiful vintage setting, brides must look at every detail and every aspect of the whole arrangement. 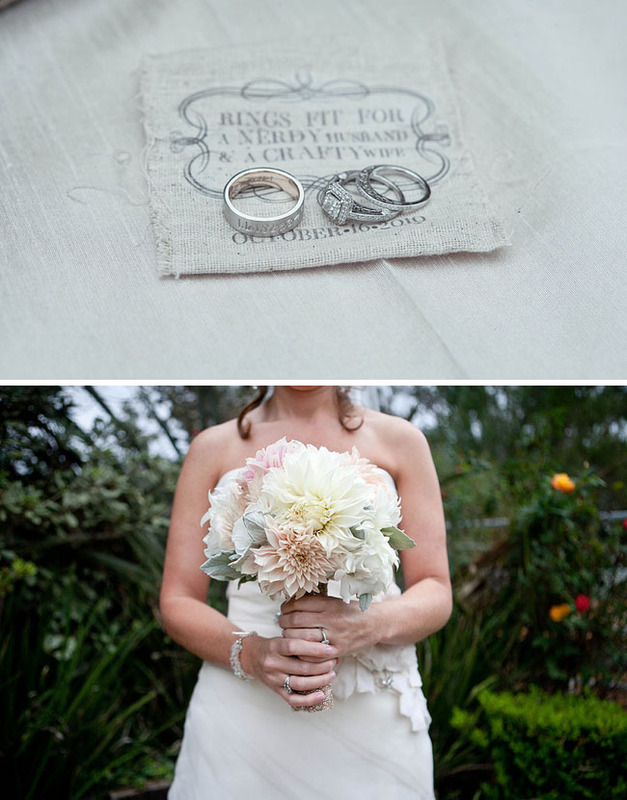 Usually muted colors theme played a big part in Vintage weddings. 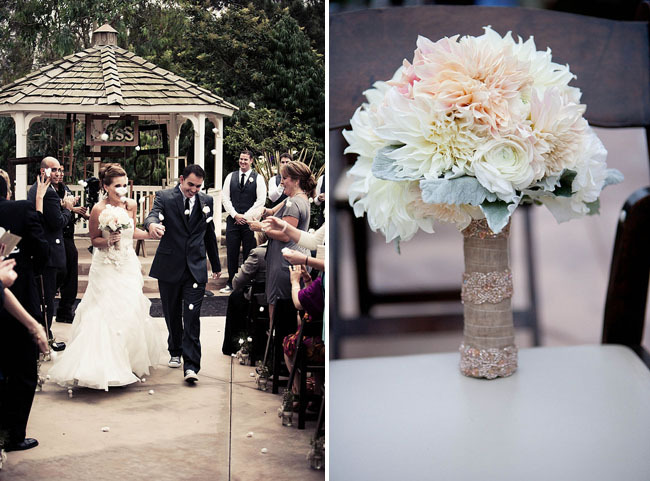 The color palettes varies from 'after rain' colors such as blues & greys, to neutral browns and muted pastels. 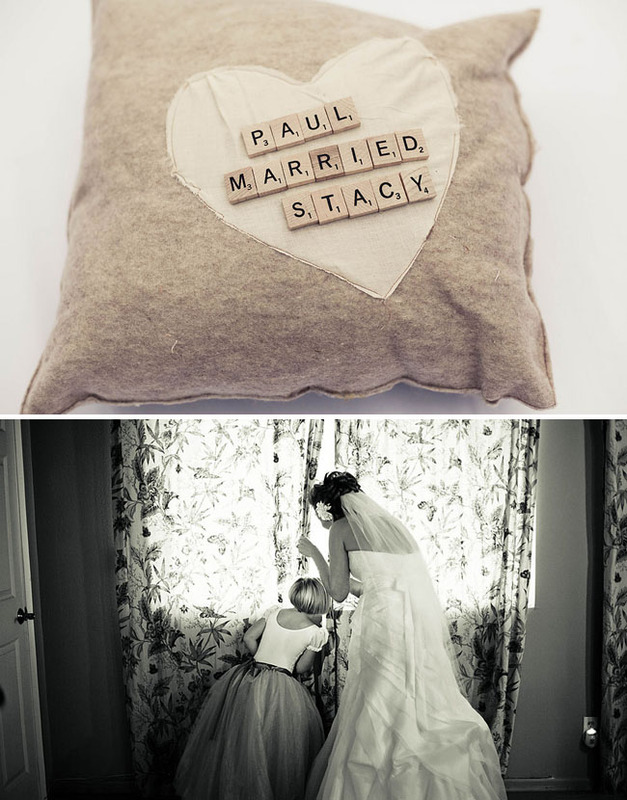 The idea is to capture the retro in current moment, giving a soft romantic feel. 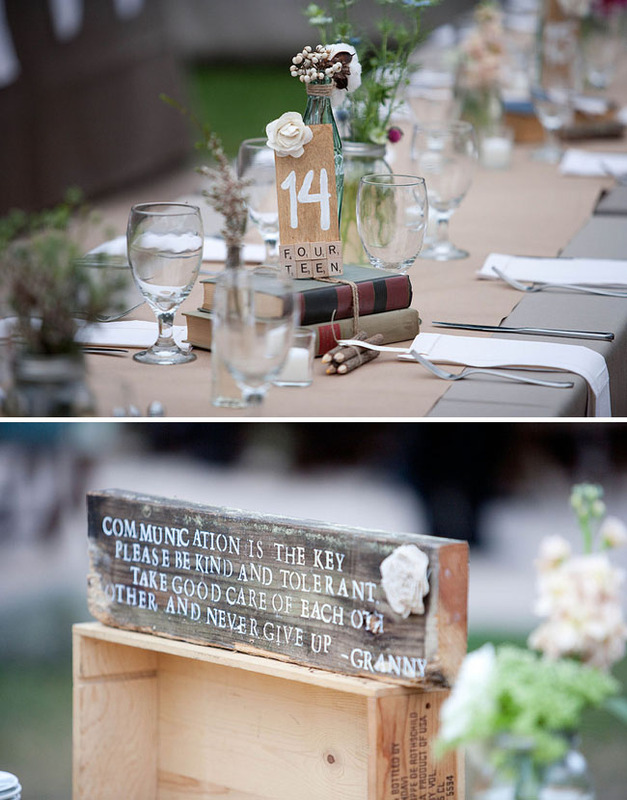 In her wedding, Stacey also incorporated old books, bottles and wooden boxes as part of her centerpieces. They're somehow pretty and neat yet quite vintage-ish. 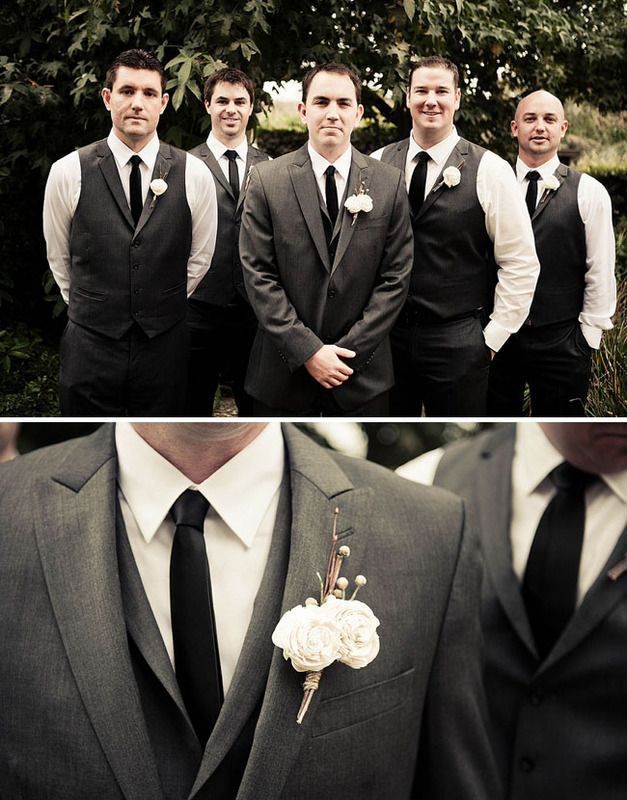 Check out the balsa wood boutonnieres she did for her groomsmen attire. 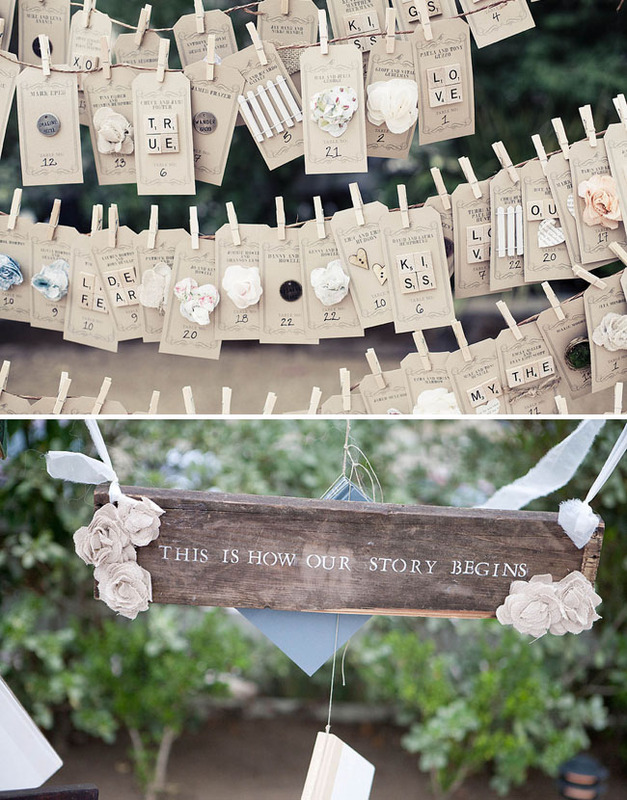 Also she incoporated Fun in her wedding, by hanging name cards made by wooden papers and clothing-pegs. 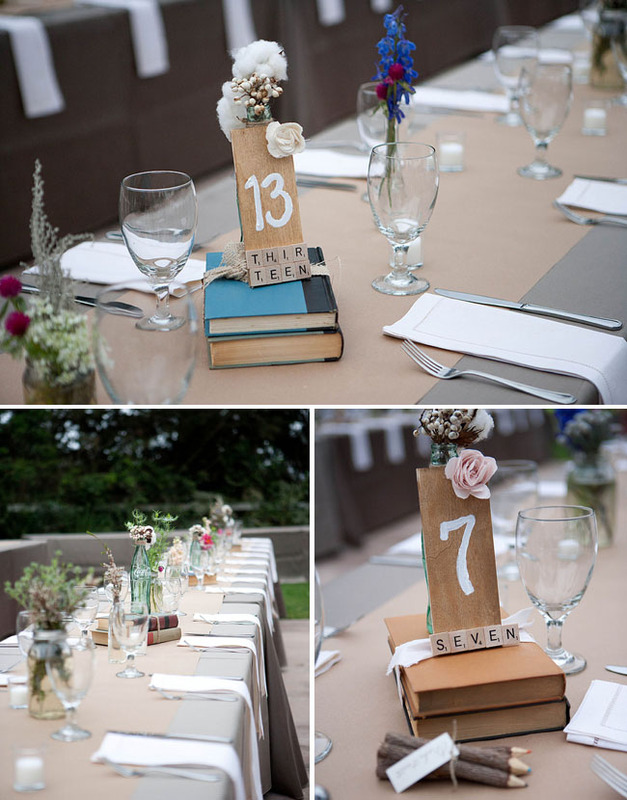 We also love the way she put 'stories' on wooden centerpieces and old books as part of her table numbers. Quite the unique assemble! 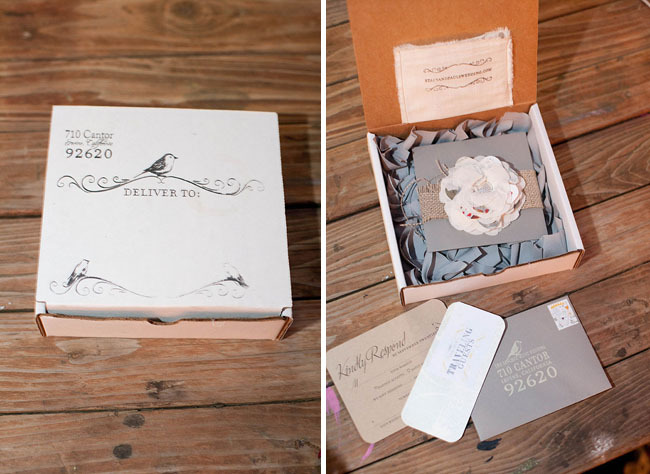 And her gorgeous wedding invitation was well vintage made too. 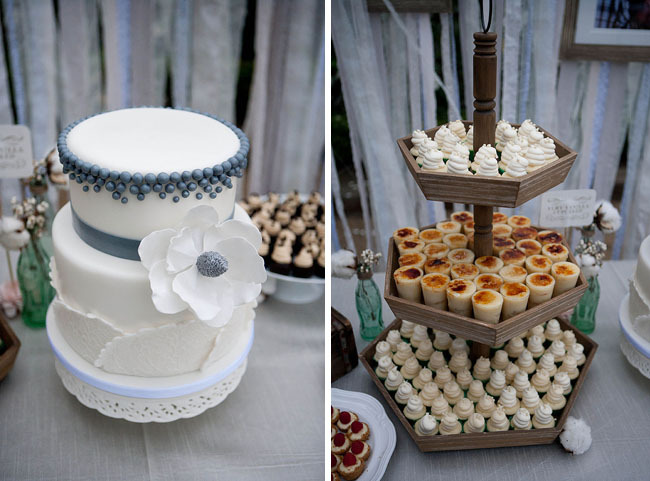 And last but not least; the ever retro dessert table designed by these talented ladies from Jesi Haack + Sweet & Saucy. 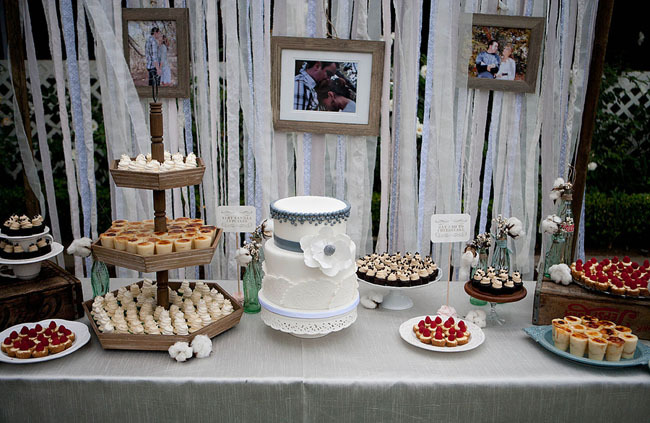 The brilliant muted colors ribbons, the 3-tiered cupcake holder and wooden frames made a big impact when creating this dessert table. Simply neat and refreshing! 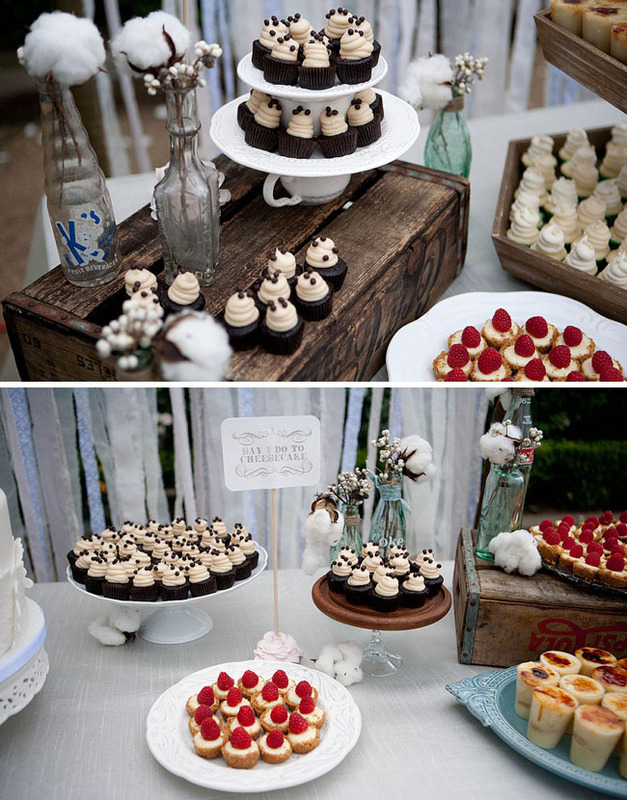 Of course; the wooden boxes also made an awesome way in creating the desserts staging too. 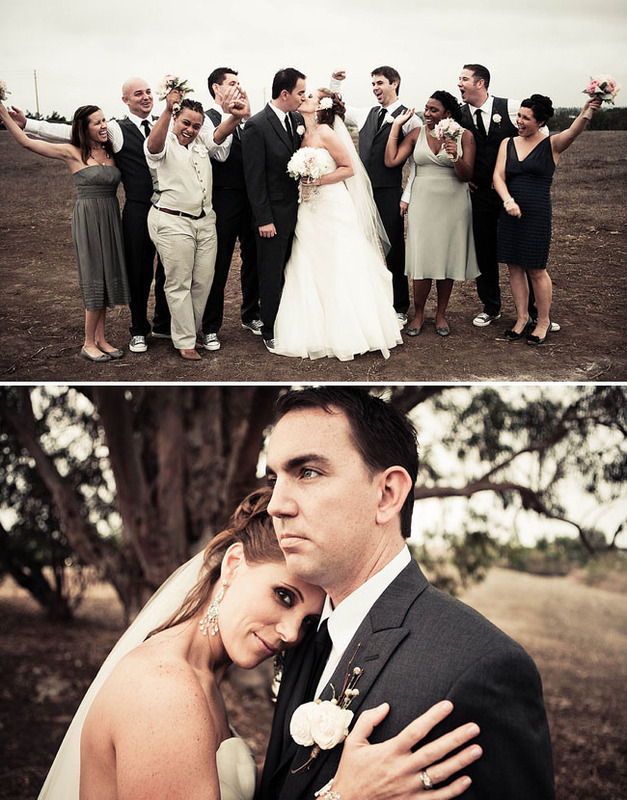 A way brilliant idea to keep it simple! 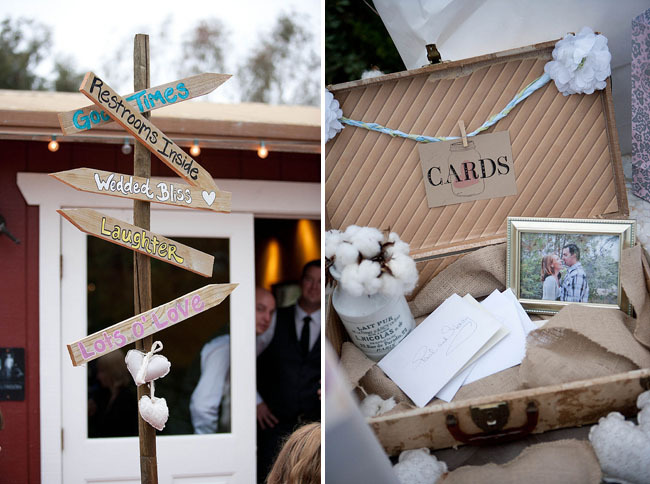 We also looove the doves + nest they inserted at the side. Cuteness!!.... Who knew, such a small piece, yet it brings out a lively charm of the table outlook.